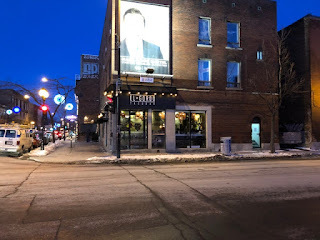 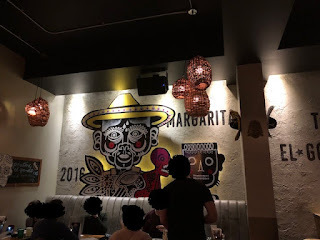 El Gordo is near Lionel Groulx station, and this bar is famous for its tacos. They're welcoming, but some staff were busy talking to a group of patrons (or drunks). 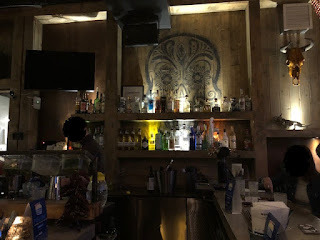 One of them even poured beer from the server set in the counter by reaching from the bar counter seat, yet the staffs didn’t say anything. Maybe he’s the owner, however, I found it insanitary since he used the used glass, which means the parts his lips touched could have been adjacent to the nozzle of the beer server. 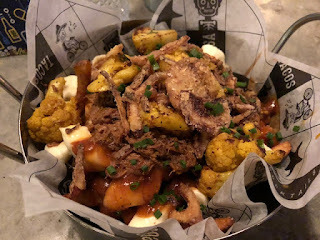 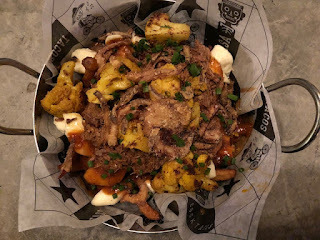 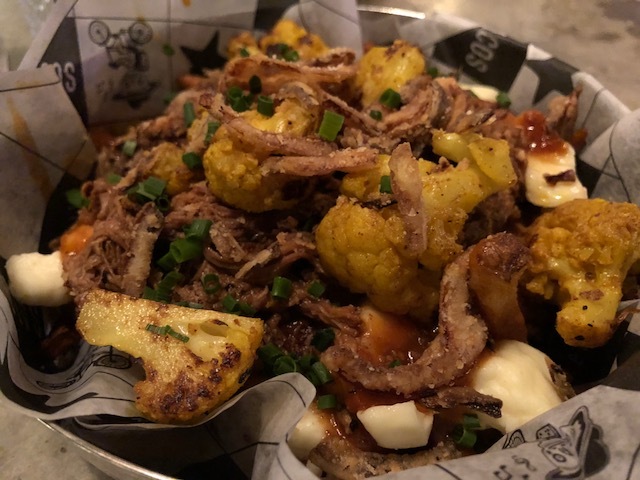 This poutine consists of regular and sweet potato fries, roasted cauliflower with tajin spices, shredded beef, gravy, cheese curds, fried onions, and chives. 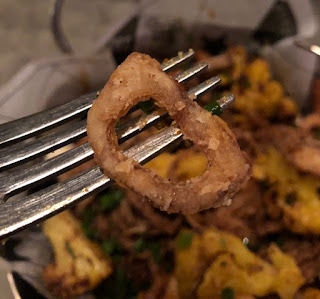 Crispy fried onions were good accent. 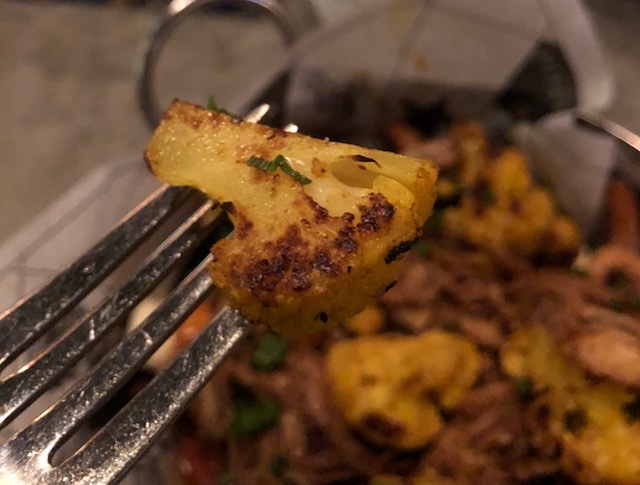 Roasted cauliflowers had curry or cumin flavor, too, though it's supposed to be seasoned with tan spices, but either way, they're soft and sweet inside while the outside had savory flavor. 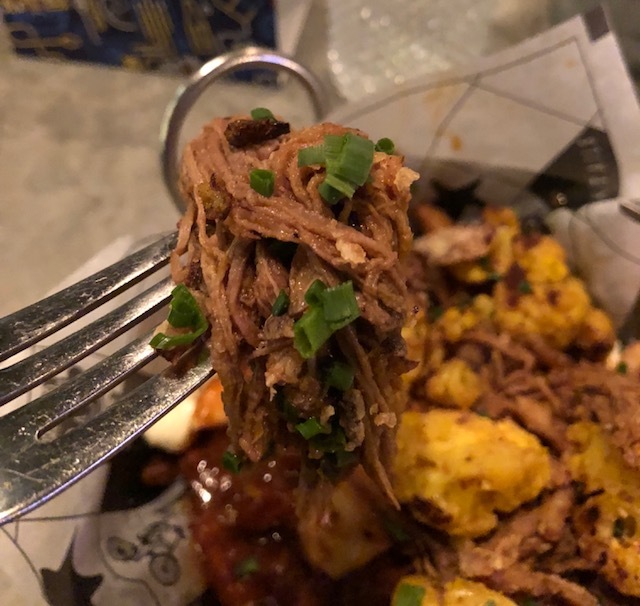 Shredded beef was really tender and they poured it generously. 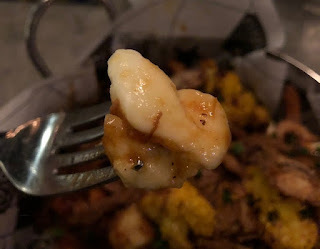 Cheese curds were large and they're squeaky and chewy. 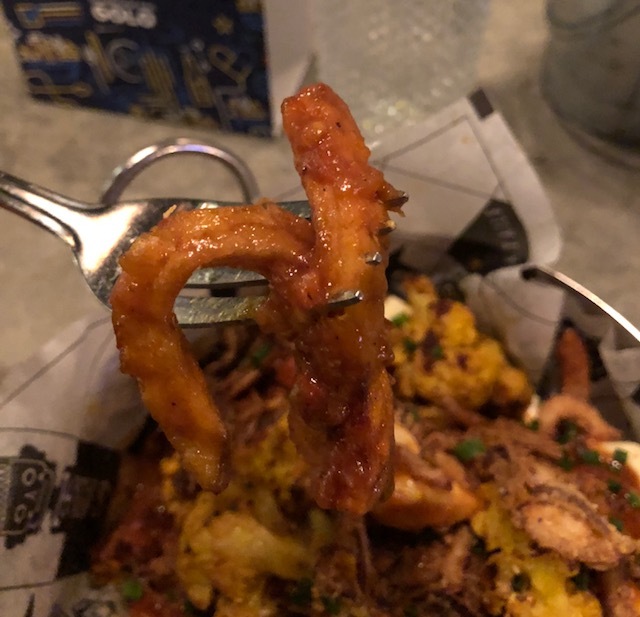 Fries were medium thick and the sweetness of fries between potatoes and sweet potatoes was so obvious that I could tell immediately which I was eating. The gravy sauce had lots of spices and the closer to the bottom, the spicier and richer it became. And this gravy also tasted similar to curry in a way.